Dinosaurs in your schoolbooks, dinosaurs on your coat. 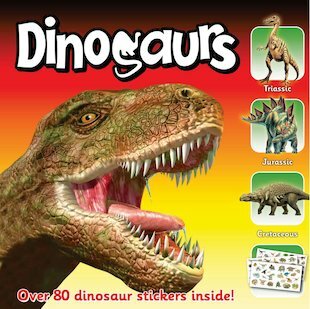 Dinosaurs on your folder, on the desk – and at your throat! Want to go dino-hunting? With this stomping sticker book of over 80 grunting, growling stickers, you’ll soon be spotting big bad beasties everywhere!